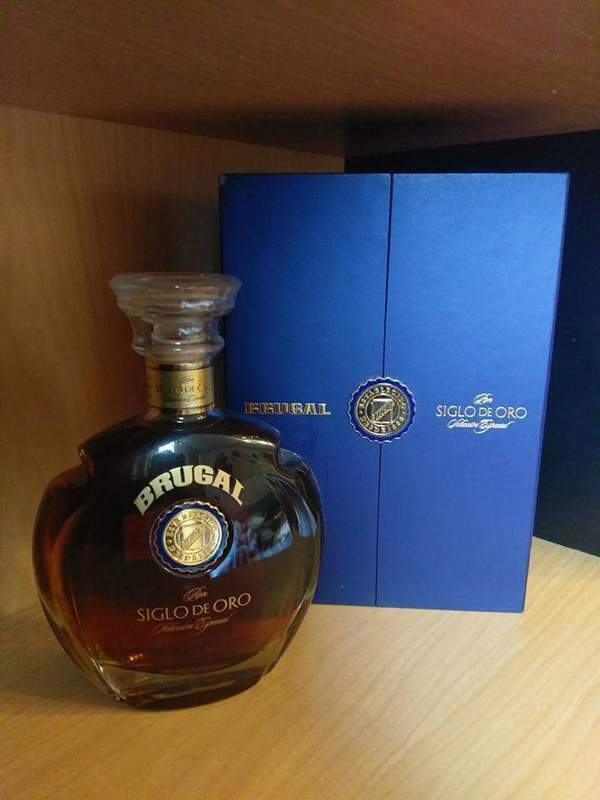 Have you found an online vendor selling Brugal Siglo de Oro? Good after dinner sipping Rum. 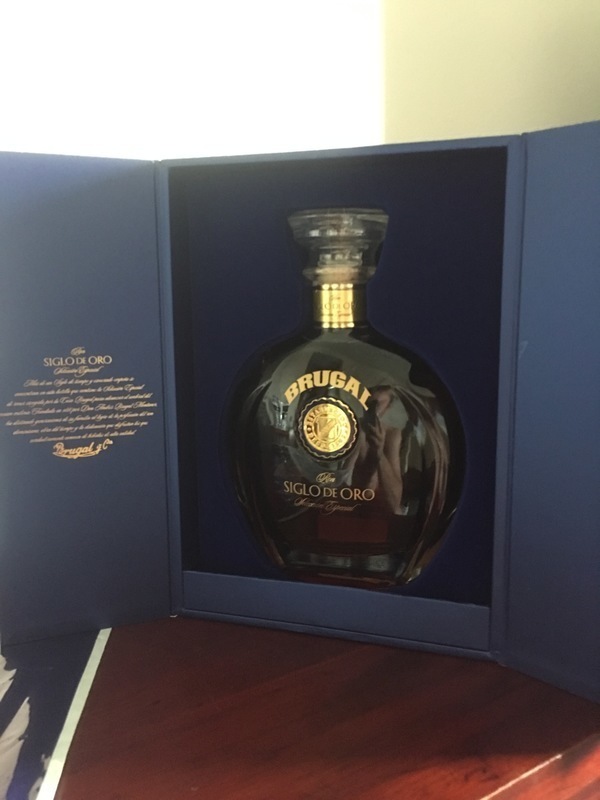 Brugal Siglo De Oro comes in a nice fancy blue box with a magnet on the front of it. The bottle itself is a very fancy style shape with a big fancy cork and gold seal on the front. It has a pleasant fruit kind of taste to it with hints of spices. It is by no means a $130 bottle of rum. I've had $40.00 bottles of rum that tasted better. Brugal Leyenda is a far better tasting rum and so is the El Dorado 12 year old rum IMHO. Lots of bling but no bang. Nice leather arome, but needs to breath some time. More dry taste with whisky tones, not so complex body. Very long aftertaste. Yep woody start in aroma and taste. Like smoked a bit sweet but robust. Enyway mild. Traces of fruits as mango, sultanas, caramel... Changes during tasting. Good. Da, este ok.. Fin, curat, ambalaj si prezentare de exceptie dar poate un pic prea scump pentru ce se vrea... Ma asteptam la un aftertaste mai corpolent si mai lung.. I got this bottle from the Brugal factory in the Dominican Republic. It’s an amazing bottle and display. Packaged very nicely in the blue case. Cracked this open on Christmas Eve after opening gifts. On the nose it’s amazing and feels like a work of art. After letting it sit in the glass a few minutes to breathe took a sip and another and another but nothing. I felt like it was very bland. It wasn’t dry it wasn’t sweet it had no flavors of any of the aromas coming from the decanter. For being Brugal’s top of the line I felt it was in third place behind 1888 and Leyenda. I wasn't sure if I'd like this or not based on other reviews which said this was on the dry side, and the fact that I'm not a big fan of the Brugal 1888 as I think that's too bourbony. This was good though. It wasn't as bourbony as the 1888, and it was VERY smooth. A bit on the dry side for my liking. Smells and tastes of bourbon, oak, leather, tobacco, and vanilla. A very good rum. Zdecydowanie największa chwała jaka mnie spotkała na rumowym gruncie. Wspaniałe doznania, które towarzyszyły mi podczas picia tego zacnego trunku, pozostały w mojej głowie do dzisiejszego dnia. Nawet nie spodziewałem się, że smak, zapach może się tak zakorzenić w pamięci człowieka. Wszystkie doznania, poczynając od smakowych, poprzez zapachowe, a na obcowaniu z eleganckim opakowaniem kończąc mogę porównać z czymś niezwykłym. Mam nadzieję, że jeszcze kiedyś u mnie zawita! I think a lot of Rum lovers would like to have this bottle, it looks expensive and the blue box is supernice. I could read from someone buying it 10 years ago and I do beleive that the quality at that time was higher on a lot of the Rums. This Rum is oaky and thin. It's overpriced. Not bad could have been better. Next time I'll get something else. No doubt, Siglo d'Oro is a fantastic rum. But with a price if about 100€, I believe there are several better rums out there in that range. riecht unglaublich gut! schmeckt gut! doch der kleine bruder lyenda schmeckt einfach bessr! 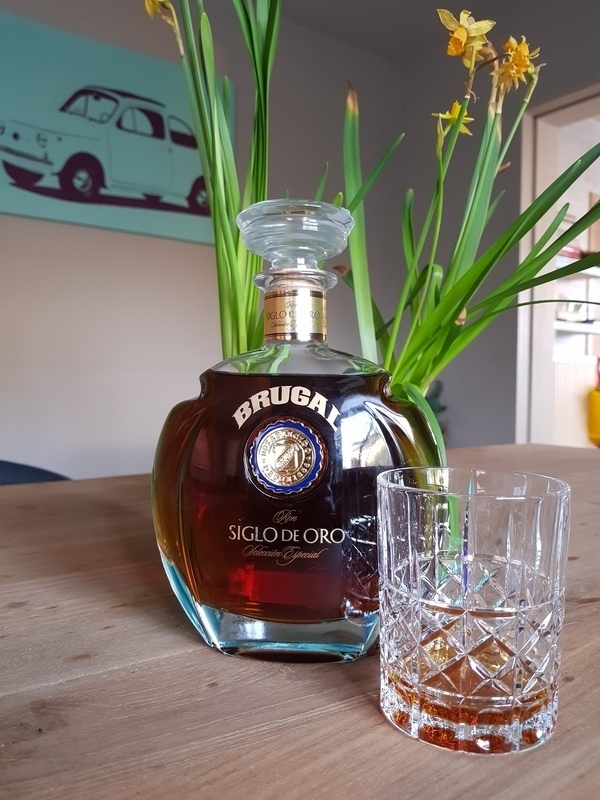 Brugal has a reputation to uphold and with this rum it delivers. Lovely colour, intriguing nose and a great taste. Quality doesn't come cheap though. However If you are looking for one of the best Spanish style Dominican rums, search no further. With notes of oak, spices and bourbon this one hit's a sweet spot for me. 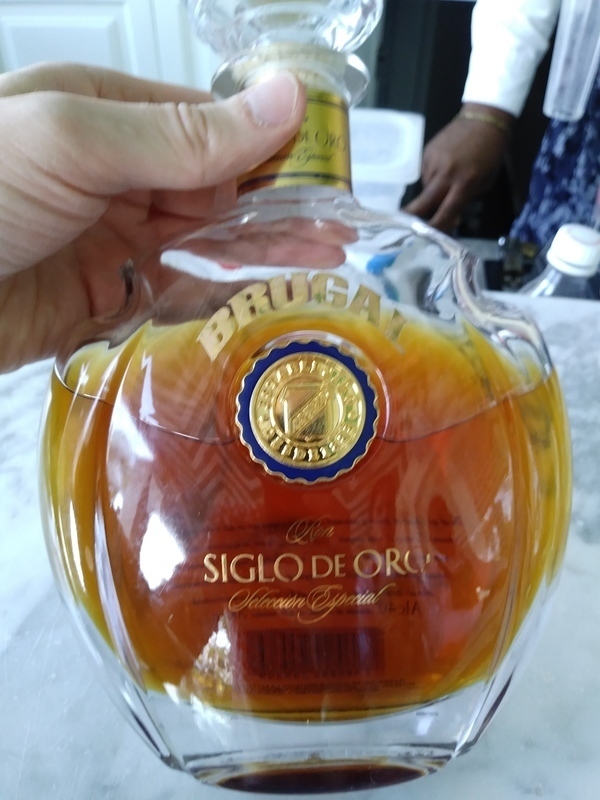 Enjoyed Brugal Siglo de Oro in Santo Domingo. Bottle looks very high end. Color is semi dark. Very strong and sweet to the nose. Sweet flavor profile continues to the palate. One of the most longest lasting afterburn of any rum this side of Black Tot. 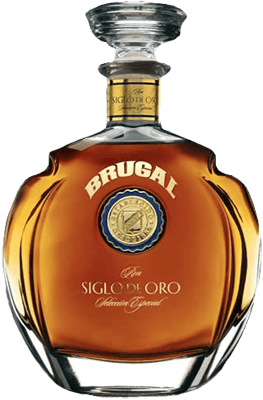 I found Siglo de Oro from several local liquor stores for $65 to $75 per bottle which is a very good price for a high end rum from the Dominican Republic. Robe foncé avec un nez un peu sur le menthol et épice. Beau nez, un peu amer, sur l'alcool et dure d'approche, pour le prix, manque beaucoup de complexité et de rondeur. A l'aveugle, avec des rhum du même prix, fini toujours dernier. Pourtant grand amateur de la maison. Je soupçonne une bouteille contrefait (acheté en République Dom). Incredibly soft on the tongue yet very flavourful. Fruity and full of aroma. Not easy to find but one to enjoy with fully rum drinkers. Brilliant. Very smooth. Notes of caramel, wood, and a spicy finish. There's nothing to say about this rum that will do it all the justice it deserves. Great buy! De los rones Dominicanos sin lugar a dudas es de los mejores. Presentación impecable, sin embargo esperaba un poco mas, un poco tosco al final. De todos modos muy recomendado.